Taylor Woodrow has a wide variety of projects in its current and completed projects portfolio, and this gallery aims to give a flavour of the exciting schemes that we deliver. Many are highly complex multi-discipline projects, often delivered in demanding circumstances, that our teams find stimulating, challenging and rewarding. VINCI Environment UK is a joint venture of VINCI Environment and Taylor Woodrow. 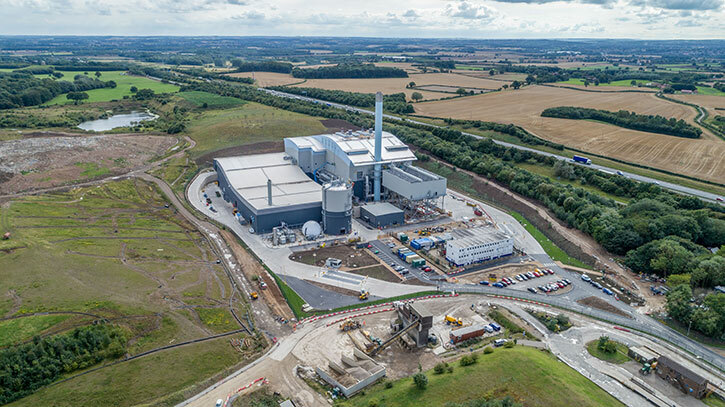 The team are working alongside a number of contractors to design and build a state of the art integrated waste management facility at Allerton, North Yorkshire. The facility will process up to 320,000 tons of waste per year using mechanical-biological sorting. The majority of the waste will be treated in two Energy from Waste (EfW) streams, generating enough electricity to power up to 40,000 homes. In addition, Taylor Woodrow has a separate contract with Amey for the civil engineering and building elements of the Anaerobic Digestion and Mechanical Biological Treatment plants at Allerton, and is Principal Contractor for the entire site.